Brooklyn may not have the household names, but they have an athletic bunch that can be fun to watch. D’Angelo Russell starts at point guard, but can often move to the two where we see Spencer Dinwiddie come in and play the point. Caris LeVert took a major step forward, and has solidified himself within this starting five, especially on the offensive side. This gives the Nets a really good backcourt trio. The front court has always been jumbled, and Joe Harris has taken the starting small forward spot with DeMarre Carroll moving to the bench. This gives him a little bit more on the offensive side. Rondae Hollis-Jefferson does a little bit of everything, and starts at the four most of the time for the Nets. Their undersized front court always gives them trouble on the glass, as Jarrett Allen has been criticized for his rebounding ability. Allen starts at the five, but minutes aren’t over 30 just yet. 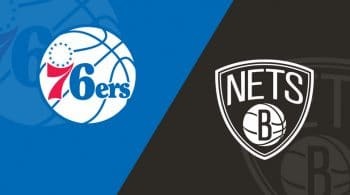 It continues to be a tough go for the Nets because they have not had their draft picks due to the Paul Pierce and Kevin Garnett trade a few years ago. The Nets have pushed the pace of play the last few seasons, and their small ball style leads to a logjam in the backcourt and at the wings. Starting with the front court though we can break things down a little easier. Rondae Hollis-Jefferson returned to the Nets, and is an undersized four that can stretch the floor. He contributes across all categories, and is a bright spot within this Nets lineup. There is little depth behind him with Quincy Acy backing him up, although Brooklyn did add Ed Davis. The former Tar Heel is a high energy player who should find himself around 20-25 minutes a night, and can also play some backup center. 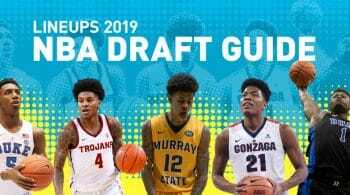 The Nets did draft Jarrett Allen who is better known for his shot blocking. Jahlil Okafor is still floating around in this depth chart, but there is nothing promising about his future at the moment. When moving to the three and guard spots, things are very jumbled. The rotations are large, which creates minutes issues. DeMarre Carroll will play the four at times, and is the one we can count on for minutes in the lower 30s. Joe Harris, Caris LeVert, and Allen Crabbe all will be given minutes at the two and three which is where the logjam begins. When injuries occur things straighten up a bit, but it usually a hot hand approach. There are not lock down roles of this group, and it has a lot to do with D’Angelo Russell being moved to the two to play alongside Spencer Dinwiddie. Both embraced their roles last season, and Russell was a usage hog at time s which made him the better fantasy option because of his green light to score.